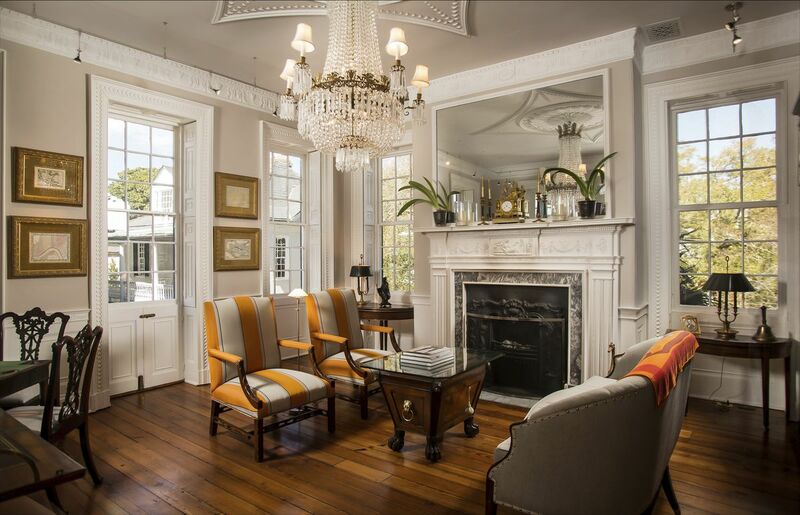 Located in one of the most coveted areas of the downtown Charleston peninsula, this South of Broad estate at 38 Church Street is sure to impress even the most discerning buyer. Sitting on a large quarter acre lot, the home is positioned on Church Street between Water and Atlantic Streets. This established part of the peninsula is filled with history. From the well-preserved historic homes, such as this one, to the cobblestone streets and colorful gardens, it’s almost easy to imagine what life must have been like decades—even centuries—before. The Battery, an iconic area abutting the harbor, is just around the corner as are popular peninsula spots such as White Pointe Gardens and Rainbow Row. Acclaimed restaurants along East Bay and Broad Streets mix with high-end shops and art galleries to create a thriving, urban metropolis that still retains its old world charm. All of this and more is accessible by foot from 38 Church Street, while other areas of the peninsula such as Upper King Street is accessible by bike, pedicab or car. 38 Church Street has a strong and dignified history which adds to the home’s character. According to local records, the home was originally built in 1812 and included a main house, kitchen and dependencies. It is known as the Dr. Vincent Le Seigneur House, named for its most prominent resident. Dr. Le Seigneur was a French-born immigrant from Santa Domingo who purchased the property from the previous owner in 1814. The beloved physician was known for founding the “Heath House”—a hospital for slaves—on the corner of Broad and Savage Streets. From the top floor of the home, you can look out over the harbor and see Fort Sumter which was of significant importance at the start of the war. Many historic features and period details of the home, including original fireplaces, neoclassical friezes and more, are preserved. 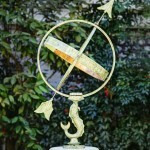 The courtyard gate is also of historical importance as it was handcrafted by famed master blacksmith Philip Simmons. ccess to the second floor master bedroom suite and there is a drawing room across the hall. The third floor has a media room and bedroom while the fourth floor has a bedroom and bath. Neoclassical wood carvings, detailed friezes and window/door casings are found throughout the home and have been masterfully restored. The wine cellar, originally the home’s private cistern, has a 510 bottle capacity and is adjacent to the artfully updated kitchen. 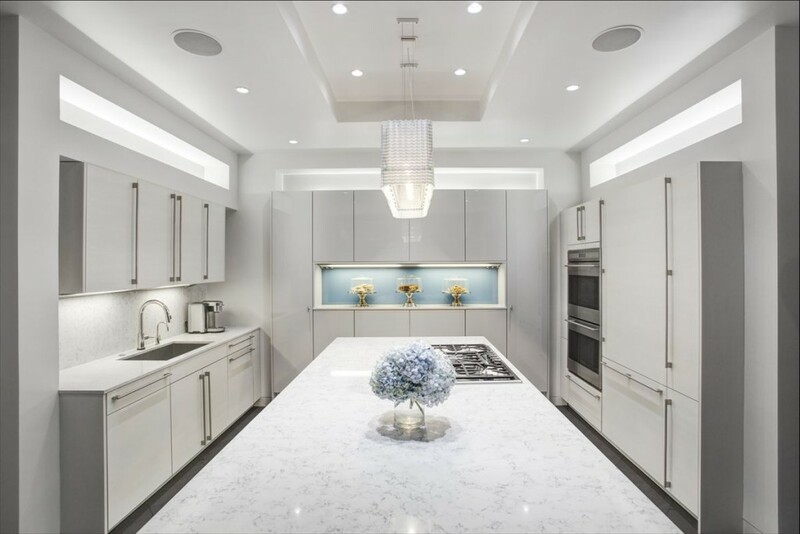 Designed for a chef, the ultra-modern and minimalistic kitchen exhibits clean lines with a Silestone center island, custom cabinets and high-end appliances including Miele, Thermador and Wolf. One of the best features is the sliding wall of glass that overlooks the courtyard which can be fully opened to enjoy the views and breezes. 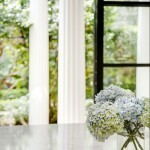 Outside, the home offers lushly landscaped grounds and an abundance of outdoor living spaces. The home is set on a quarter acre lot, large for downtown Charleston standards, so the grounds give off a lush and private feel. 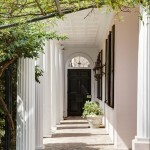 Entering from Church Street, you are greeted by a covered piazza and a central Charleston courtyard with a parterre garden. Beyond the garden is the pool area which is lushly landscaped with tropical vegetation and a rose and jasmine covered pergola. 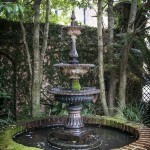 The pool house is fully equipped and is of historical significance as it is the only remaining pigeonnier in Charleston. 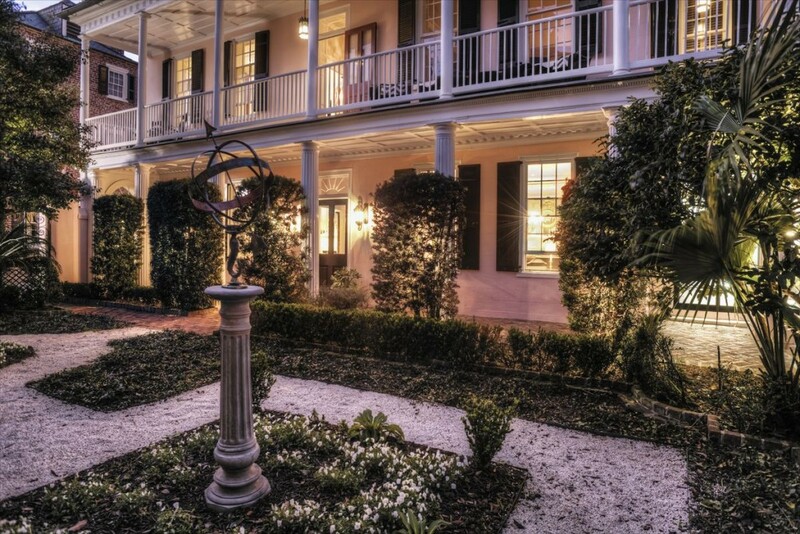 This outdoor oasis comes to life at night with custom landscape lighting and is the perfect place to enjoy the beautiful Charleston weather with friends and family. Two levels of porches are found on the second and third floors with views of the garden and pool area. A detached climate controlled garage and wisteria-covered driveway provides off-street parking for up to eight vehicles. This house is truly a must-see property. 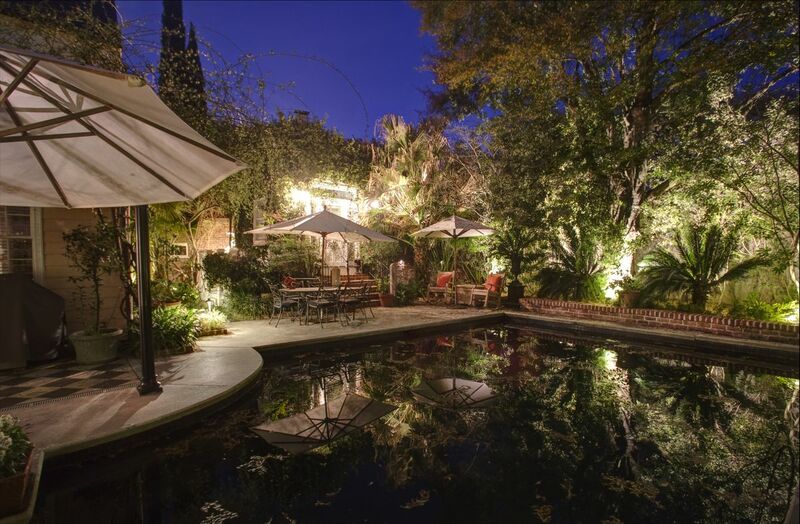 To set up a showing, contact listing agent Robertson Allen.